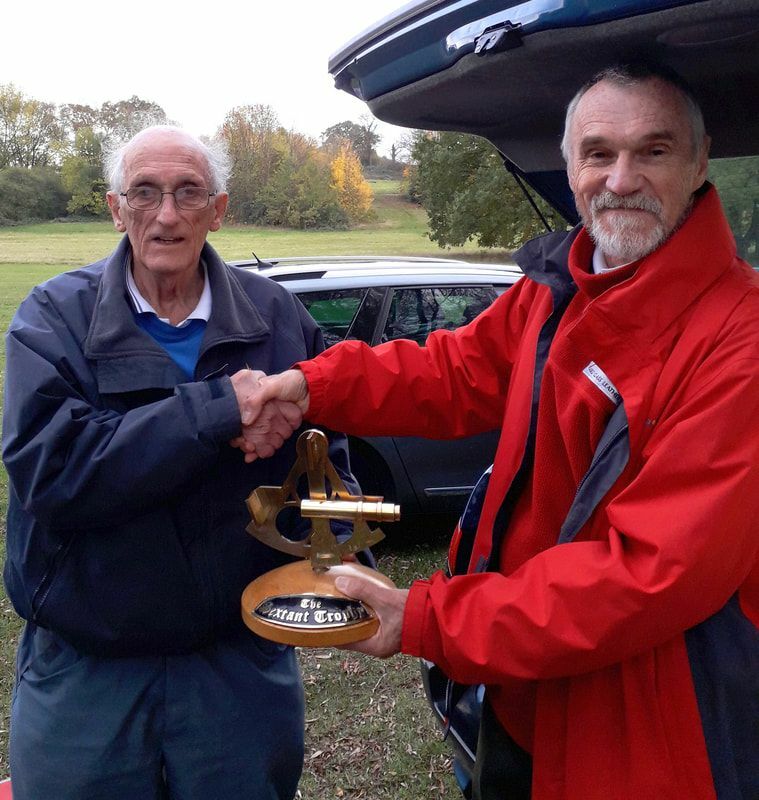 Three visitors and four members of the home club arrived at Clayton Hill Park today for the annual Sextant Trophy for 6 metre yachts. The wind was lighter than forecast and in a more awkward direction which made setting a truly good course a bit of a problem. We are confined to one bank of the lake and the wind was more or less on our backs. However, the wind is seldom steady at Clayton Hill and today was no exception. So, despite there being in principle broad reaches on most legs of the course, the unsteadiness proved a bit of a boon in that it threw in some decent beats and the occasional run. The course was shortened a bit to avoid a really dead spot around the leeward mark but otherwise remained the same throughout. It was tempting on one or two occasions to change the course, but the wind then went back to where it was so there was no point in making a change. We had a mixture of designs ranging from the usual Ravenna and Rococos via a Panther and the local speciality, the Prismatic, to a couple of the light weight TIAS design. One might be forgiven for expecting the Prismatic to show the others a clean pair of heels, particularly when the wind became very light, but Cliff had an off day and it was not to be. 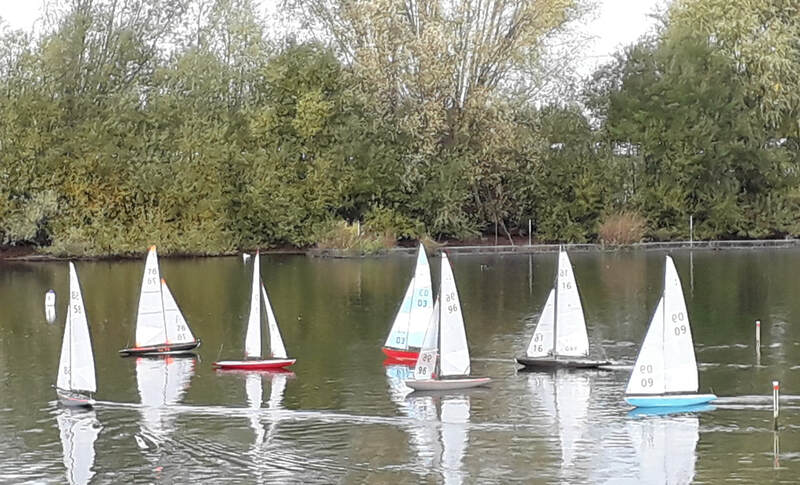 Then the lightweights looked to be the ones to beat with Terry and Vinnie leading the fleet for the first three races. However, Shaun was never far away and after race 3 Keith got the Rococo on song so that by the end of race 5 he and Shaun were both on 9 points, after one discard, with Vinnie on 10 and Terry on 14. After 10 races, now with two discards, the order remained the same with Keith on 17, Shaun on 18 and Vinnie and Terry both on 22 points. The wind was now very light so after race 11 we had a debate and decided that one more race should be sailed. Those last two races were to Terry's benefit as he by winning one and coming second in the other he matched the points of Shaun, who had a bad start in race 11. With four wins to Shaun's one, Terry took second place leaving Vinnie in fourth place. Meanwhile Keith kept the Rococo on song to finish in top spot a couple of points ahead of Terry. There was not a lot to choose between the top four with only a four-point spread. 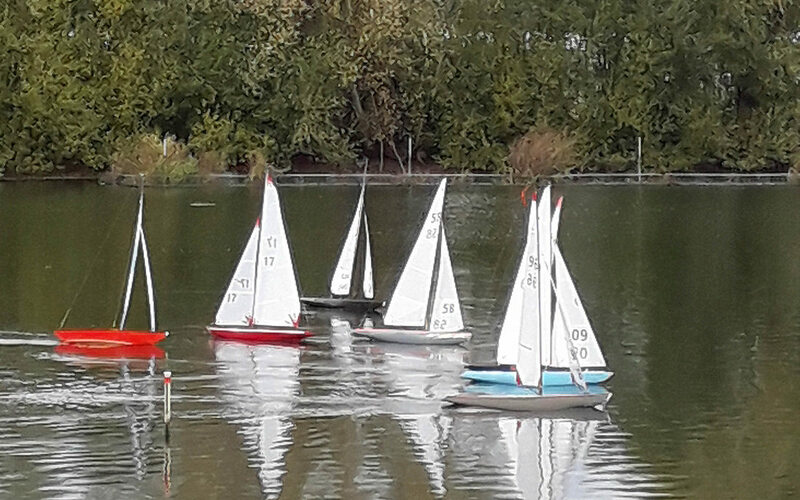 Norman was sailing a borrowed Rococo for the first time and although he had his moments they didn't result in a decent score although he did manage a couple of third place finishes. Cliff's day was, by his usual standards, a bit of a disaster relieved only by a single second place. Martin does not enjoy light winds so, apart from a single second place, he had a disappointing day. ​(who also took the photos) and Paul Clayden of Lee Valley.